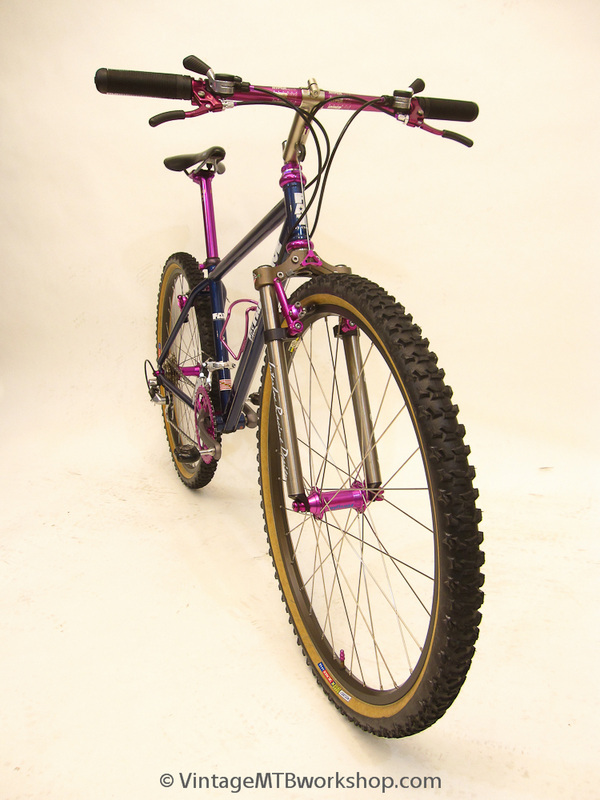 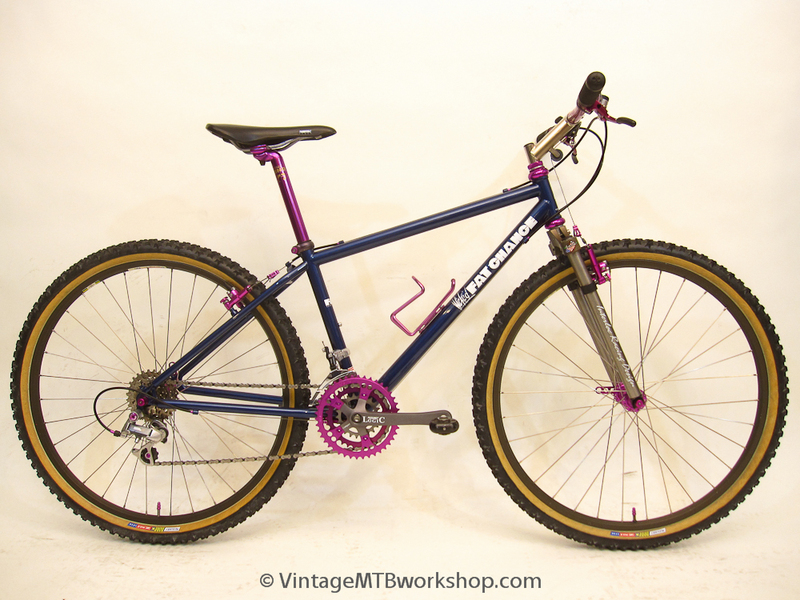 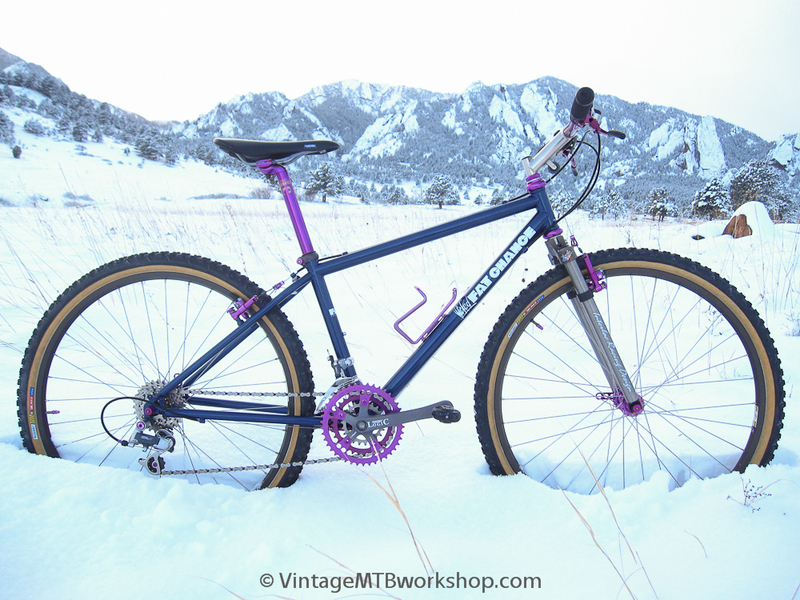 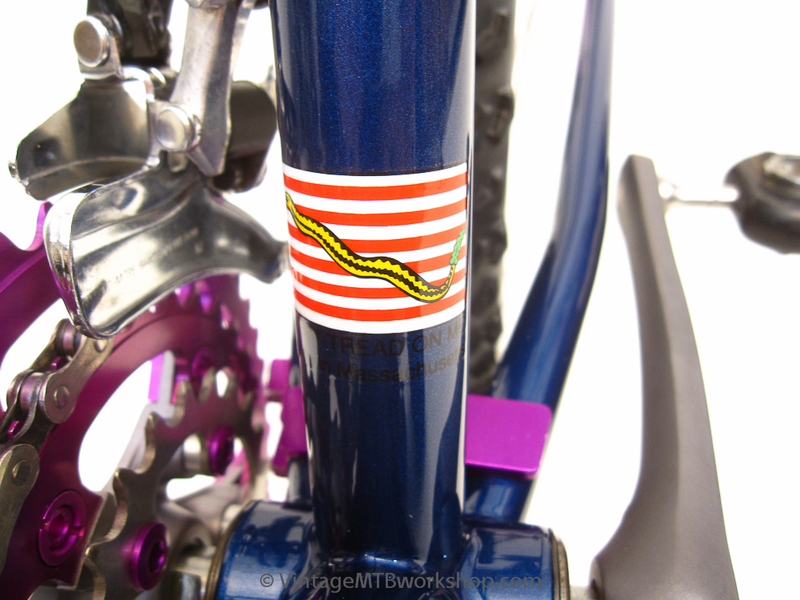 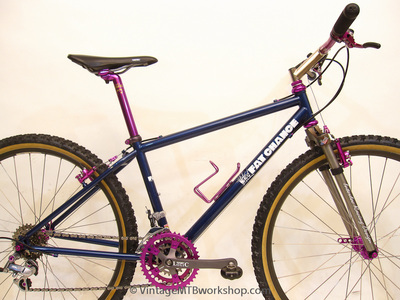 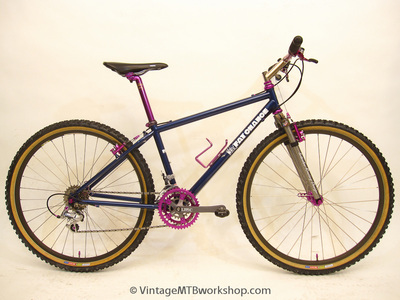 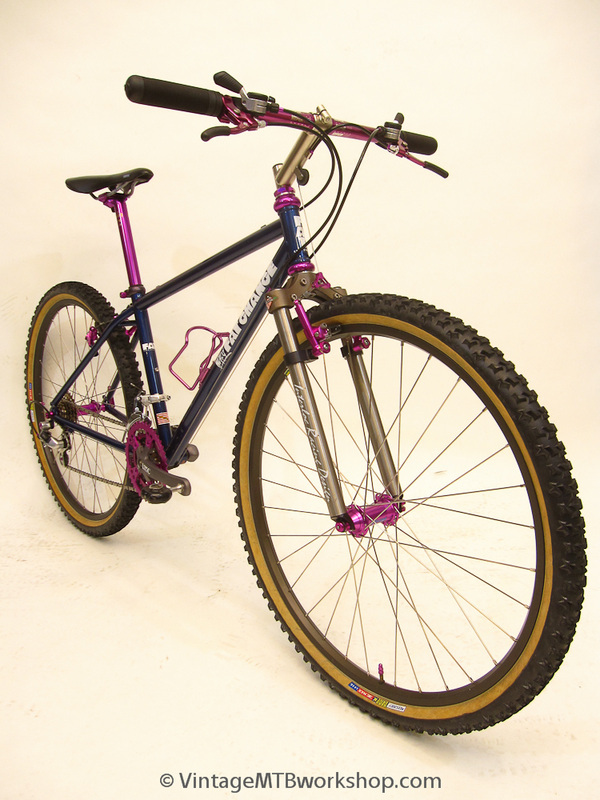 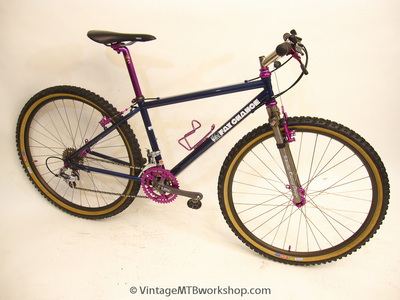 The Wicked Fat Chance was introduced in 1987 and enjoyed many years of production as a good, all-around bike. 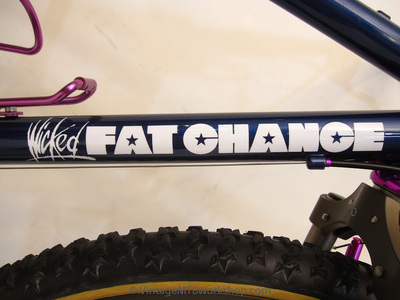 Often eclipsed by the popularity of the Yo Eddy, the Wicked used smaller tubing and a simple unicrown fork for a more comfortable ride. 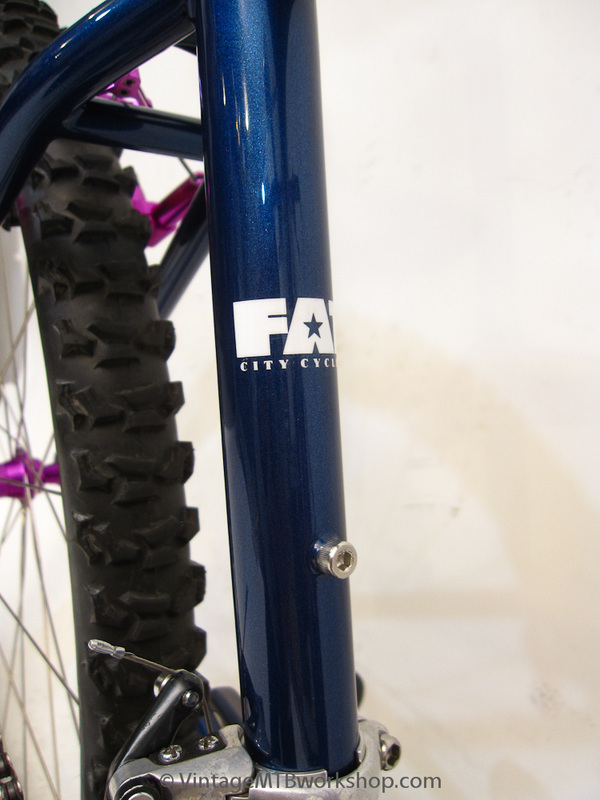 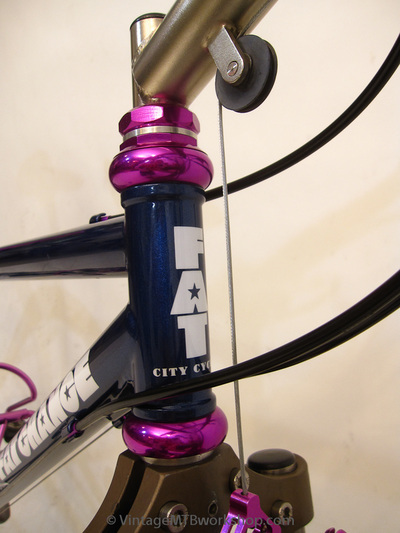 Fat Chance Bicycles became the most popular builder on the East Coast. 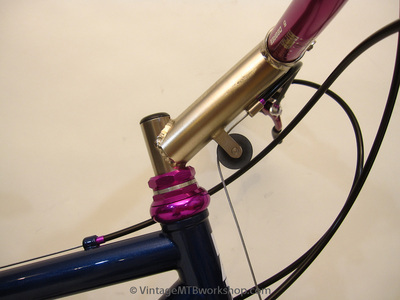 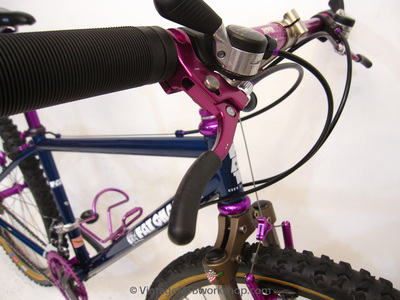 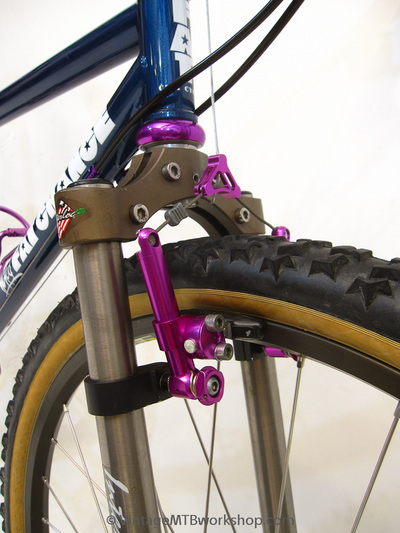 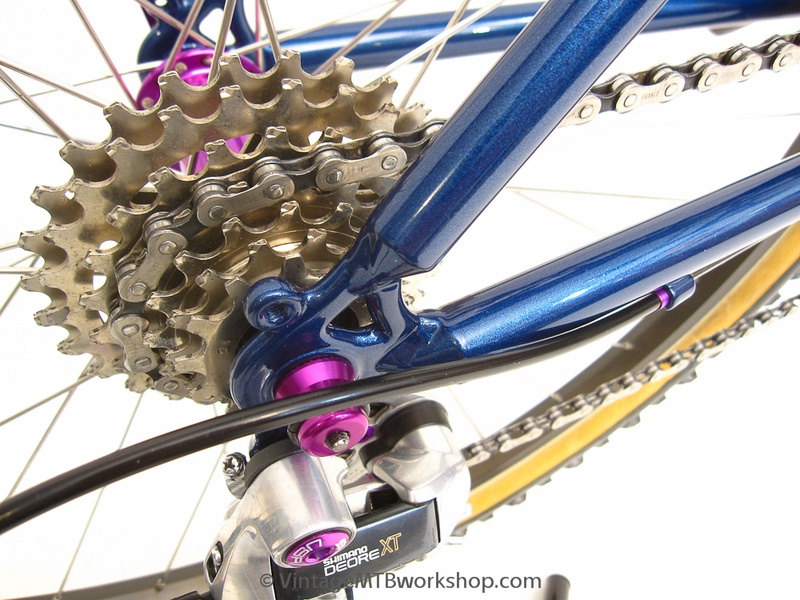 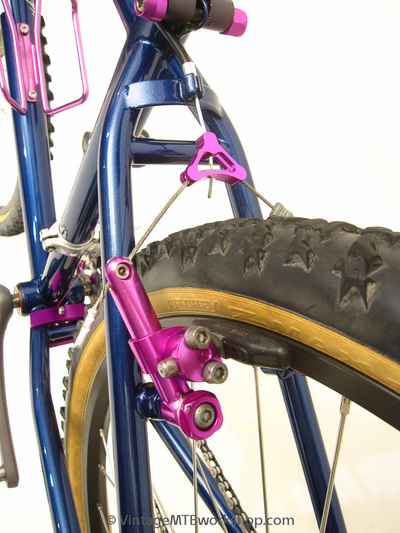 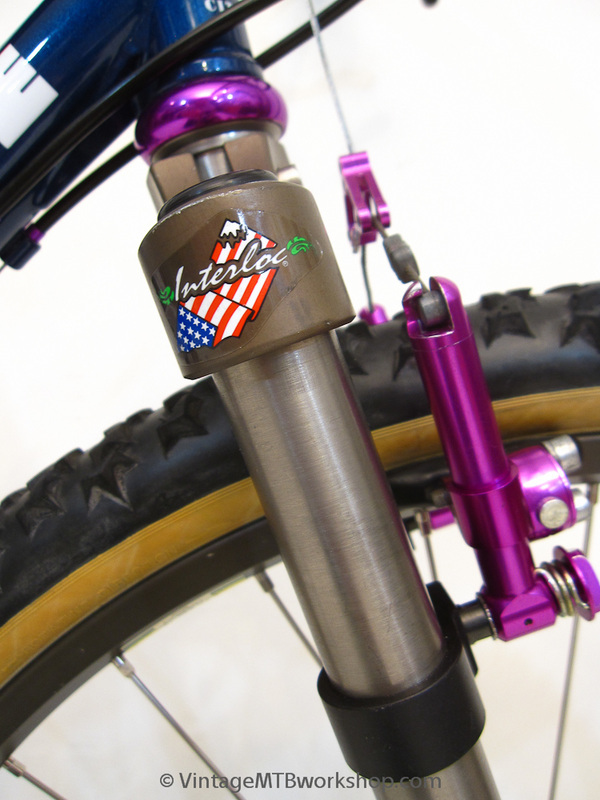 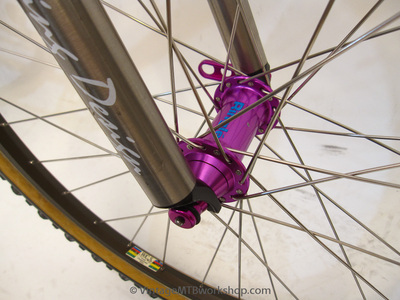 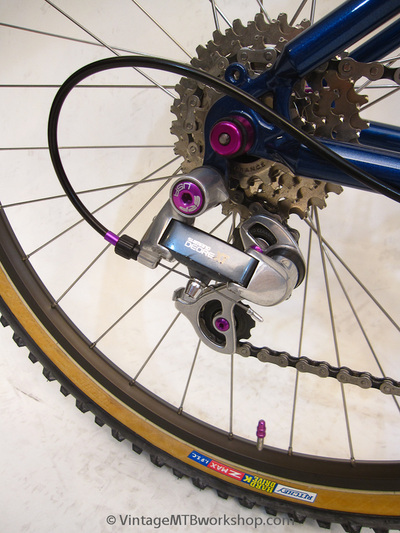 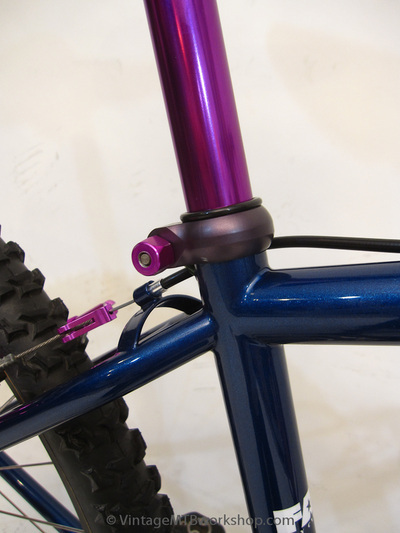 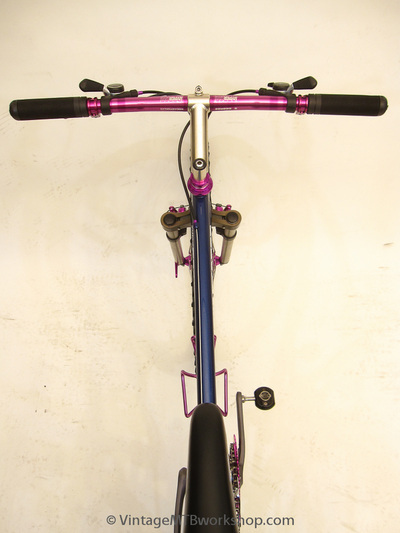 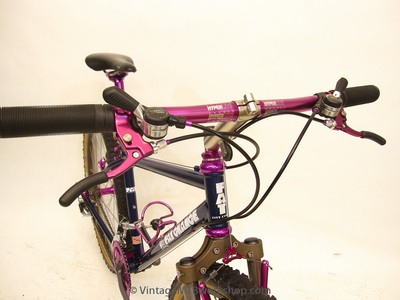 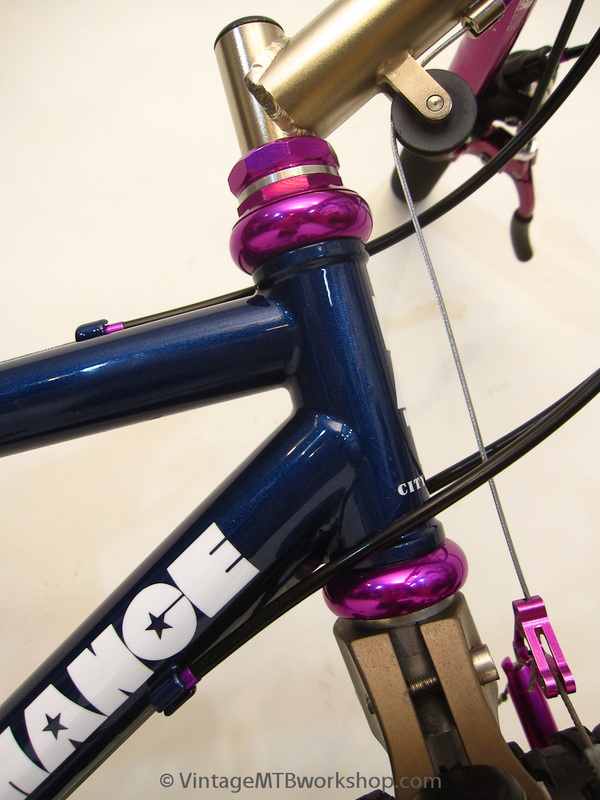 This particular example is built with a host of aftermarket parts anodized in 3D violet. 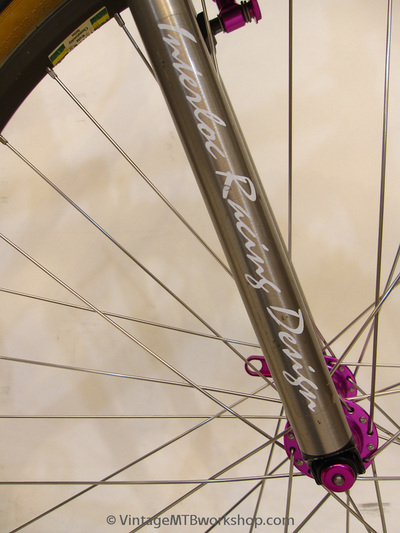 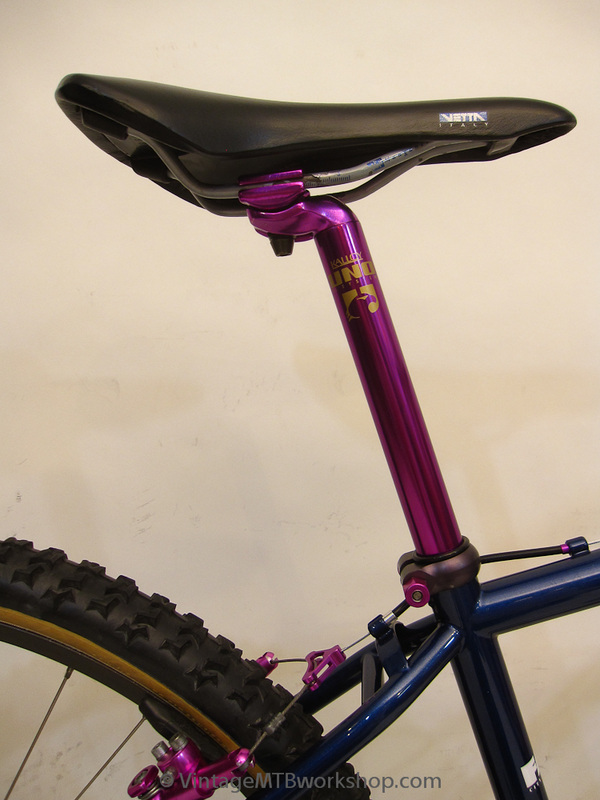 The stem is a Salsa Moto with nickel plating, and the fork is an IRD Expedition Titanium. 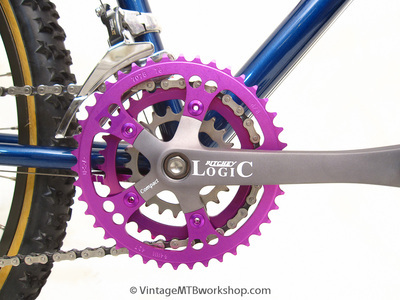 A compact crankset was used to give lower gearing for the owner who lived in Somerville, MA for 13 years where Fat Chance Bicycles were made.